This second installment of The Conjuring series starts with John (Horton) and Mia Form (Wallis) living peacefully in Santa Monica. When Mia conceives her first child, John gives her a presenta��a doll she has been trying to find for a while. But things turn bad when Mia witnesses their neighbouring couple, the Higgins, get killed by police on grounds of Satan worship. Following a series of paranormal activities, Mia finds out that one of the satanic worshippersa�� soul now possesses her doll giving it demonic powers. But getting rid of the doll is no longer an option. 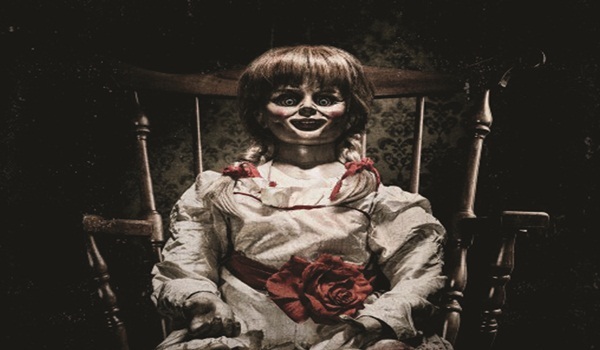 The moviea��s background score also includes tracks from The Conjuring. Nina Sayers (Portman) is a successful ballet dancer living in New York. But she finds it difficult to crack the upcoming performance of Swan Lake due to her inability to portray Black Swan, a sensuous character in the routine. Soon shea��s advised by her director (Cassel) to let go of her inhibitions and observe Lily (Kunis), another dancer who lacks in technique but showcases uninhibited performances. As Nina tries hard to decipher the character of Black Swan, she finds herself flitting through surreal moments even as her distrust of Lilya��s intentions grows into paranoia. A psychological thriller, the movie required Natalie Portman to undergo a year of ballet training. Baaghi chronicles the twists and turns in the life of Sia (Kapoor), a wannabe actress, who has been abducted by Raghav (Babu), a martial arts champion. Though her father Khurana tries frantically to get his daughter back, due to Raghava��s influence even the cops refuse to help. With all his options running out, Khurana finally decides to turn to Ronny (Shroff), Siaa��s long lost love. Can he save Sia? The plot of the film is loosely based on Telugu film Varsham (2004) and Indonesian film, The Raid: Redemption (2011). being killed. A satire based on the war-on-terrorism policy of the US, the movie was banned in Pakistan. Set in New York City, Tallulah follows the story of Lu (Page), a free spirited young woman. When she decides to take custody of a baby girl whoa��s being neglected by her mother, Lu lands in trouble as she is perceived as a kidnapper by those around her. To avoid losing the baby, Lu asks help from Margo (Janney), her ex-boyfrienda��s mother, while tricking her into believing that ita��s her granddaughter. But the childa��s real mother soon catches up with the farce. Tallulah sees Ellen Page and Allison Janney together after a nine year hiatus. Wallace (Radcliffe) has become a recluse since being unemployed and failing in his relationships. Sharing a home with his sister and nephew doesna��t help the cause either. But things change when he meets Chantry (Kazan), his best frienda��s cousin, at a house party. Despite the mutual interest, they are unable to proceed as Chantry is already in a relationship with Ben, a UN official. While they decide to stay friends, the situation gets complicated as Chantrya��s boyfriend moves to another city. The moviea��s title was changed from The F Word to What If in order to avoid R rating in the US.